Grateful thanks to ALL who have worked so hard and given so generously to enable the Darlington Ordinariate to purchase a new three manual, draw-stop organ to accompany our liturgy and excellent choir. We have raised £48,000 in the last five years, chiefly from Parish Breakfasts on Sundays and Wednesdays. An amazing result! The organ will be installed on Thursday 15th June in readiness for the Solemnity of Corpus Christi on Sunday 18th June. Just a note to say thank you so much for having me sing in the choir in Gainford. I have really enjoyed getting to know the community and family and meeting fellow music students at York. It has genuinely been a favourite part of my year, so thank you for being so welcoming and kind - I do hope you'll have me next year. All my love and God Bless. the park to enjoy the good weather, sample some of the local food and we had a great time. This week me and the kids have dedicated our time into looking for a family car, but now that we've found it we are looking forward to having more time to explore the local activities and outdoor places. We thought the move would be challenging but I've found it a lot more than I ever expected. I've done some research and found a Catholic Church in town. 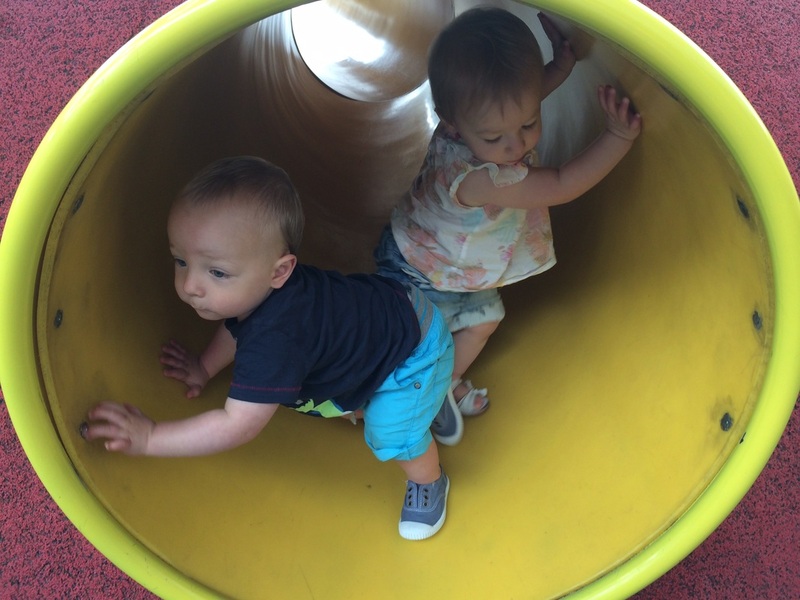 Here is a photo of Jasper and Sophia playing at the local indoor playground. This is a facility which used to be for Cummins employees only, but it's now open to the public. It's all designed for children so it's safe but great fun for little ones. It's full of slides, tunnels and climbing areas. Jasper and Sophia absolutely love going there, and they get to interact with other kids too. 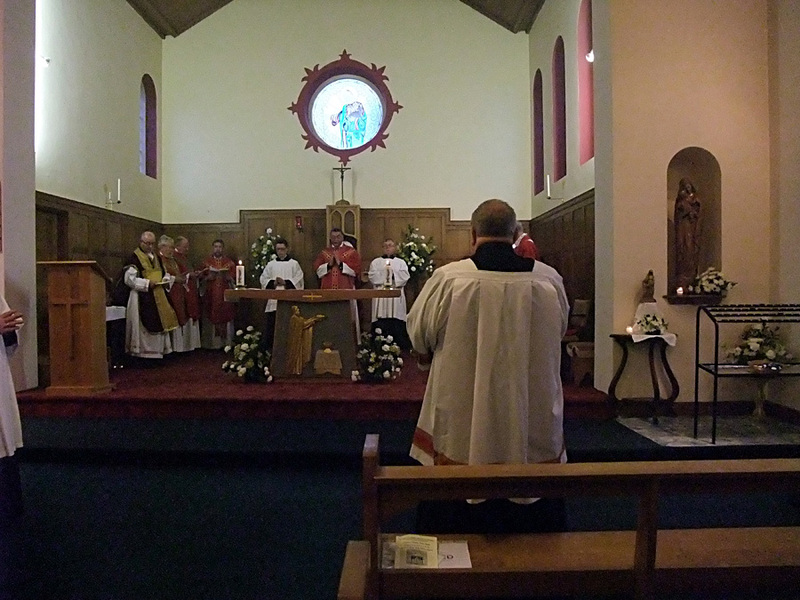 On the afternoon of St Helen's Day a group of us from the church went off to join Fr Grieves and the local Ordinariate Group at Gainford Roman Catholic Church for a service of Prayerbook Evensong. It was a glorious afternoon in their delightful church; hidden away and set in beautifully maintained gardens - a simple treasure. No big, loud building but a modest one and so well kept, clean and polished, beautiful flowers and to my great surprise, a pretty full church. 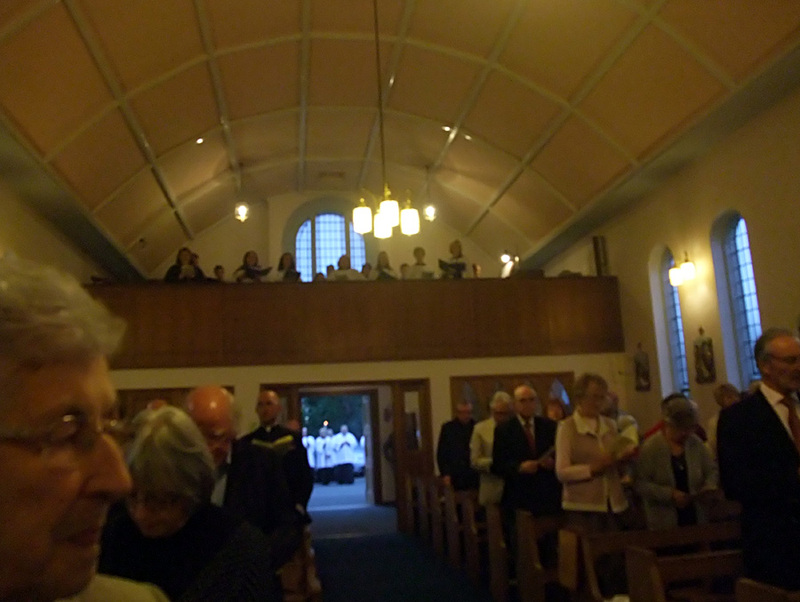 Choral Evensong is one of the delights of the Anglican Church and here it was being offered by a group of fellow Christians. It was all there: the much loved setting of Stanford in C for the Canticles, all the Psalms for the 18th evening, sung with full glorias at the end of each psalm, two lessons, properly announced and clearly read, an anthem by Bairstow and good, well-known, singable hymns and at the end the hymn 'The day though gavest Lord is ended'. Before we got there we had Benediction, all done with the expected precision of worship led by Fr Grieves and I noticed one of the hymns for Benediction was written by a former Anglican Bishop of Southark, Richard Parsons. This really was the Ordinariate showing part of its Anglican Patrimony. A true act of worship, in beautiful style. The choral singing was excellent and the organ music superb, only the organ itself was a bit weary but, as might be expected, they have already begun an Organ Fund to deal with the problem. We went to Gainford to support them as they came on Saturday to support us, fellow Christians, seeking to serve the Lord in our different ways, when none of us is finding the path of discipleship easy. Do spare a prayer for them, as I am sure they will pray for us. Why not take a ride out to Gainford, just to see the village and this brave new pattern of following Jesus. Make sure you see the cemetery, it is pretty big and so well cared for, especially the beautifully trimmed hedges. A haven of peace and tranquility. 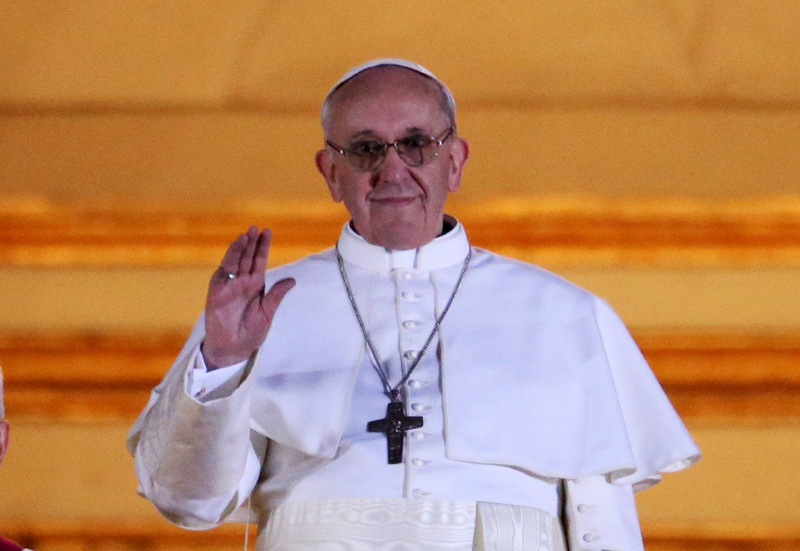 Cardinal Jorge Mario Bergoglio elected Pope Francis. Prayers and congratulations from the Darlington Ordinariate Group. ‎"O God, who in your providential design willed that the Church be built upon blessed Peter, whom you set over the other Apostles, look with favour, we pray, on Francis our Pope and grant that he, whom you have made Peter's successor, may be for your people a visible source and foundation of unity in faith and of communion." The Collect of Mass for the Pope from the Roman Missal. 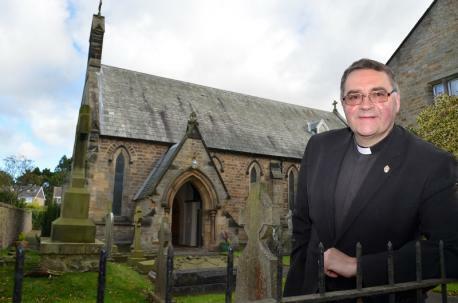 A FORMER Church of England bishop who converted to Catholicism will visit Teesdale this weekend to welcome two more ex-Anglicans into the local congregation. 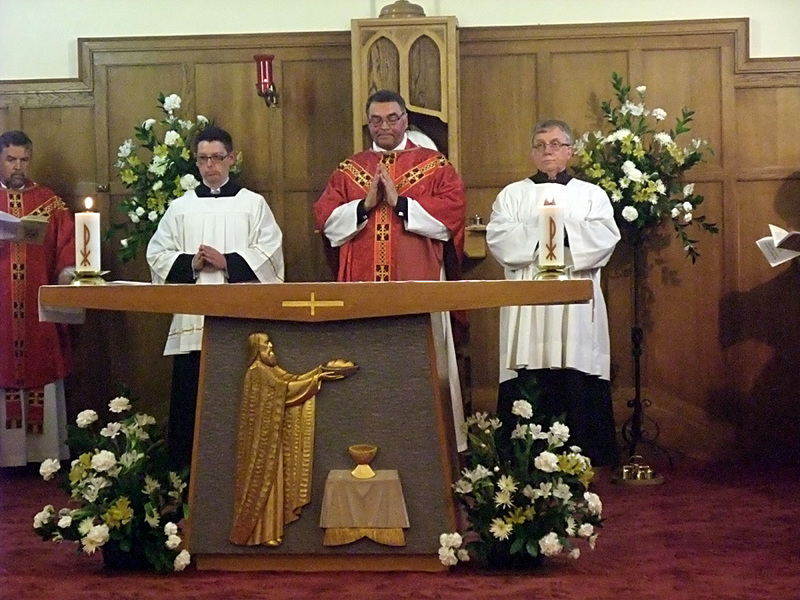 Monsignor Keith Newton, former Bishop of Richborough, in Kent, now holds the title of Ordinary with the Ordinariate of Our Lady of Walsingham, whose Darlington group is based at St Osmund's Church, Gainford. 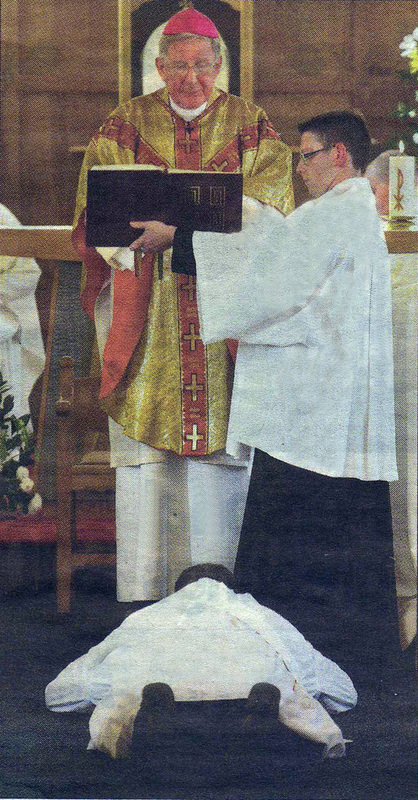 The Ordinariate is the Catholic body into which former Anglicans are received when they convert. 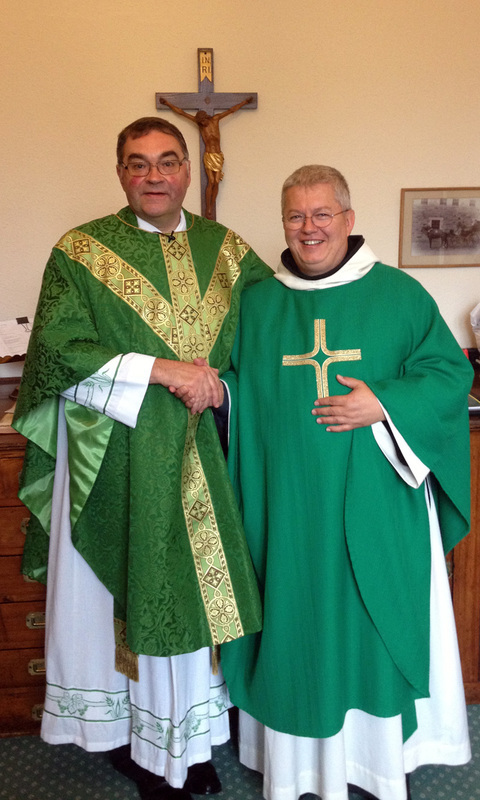 Mgr Newton will be the celebrant and preacher at the 11.15am mass at St Osmund's on Sunday. Father Ian Grieves, resident priest at St Osmund's said it was an important visit and one the congregation was looking forward to. It was Mgr Newton who received both Fr Grieves and more than 50 members of the congregation at St James the Great, Darlington, into the Ordinariate last year. “In diocesan terms, it is like a visit from the bishop,” explained Fr Grieves. 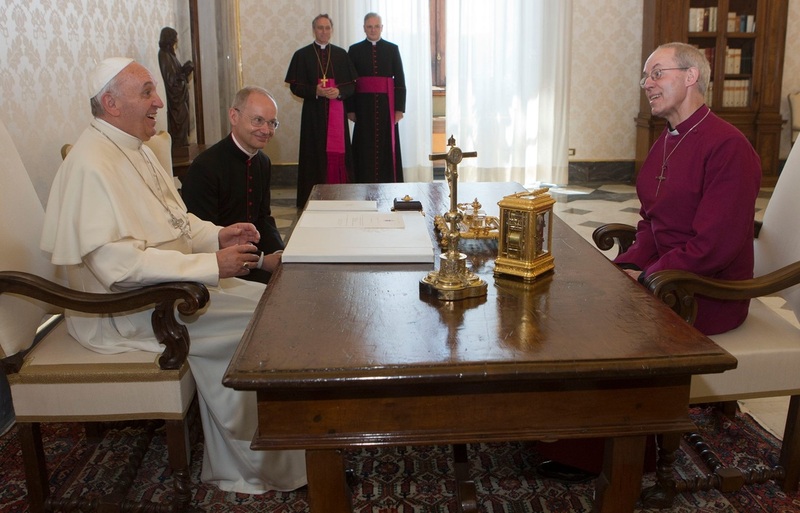 “He will welcome our first two converts to Catholicism since 58 of us were received last year. 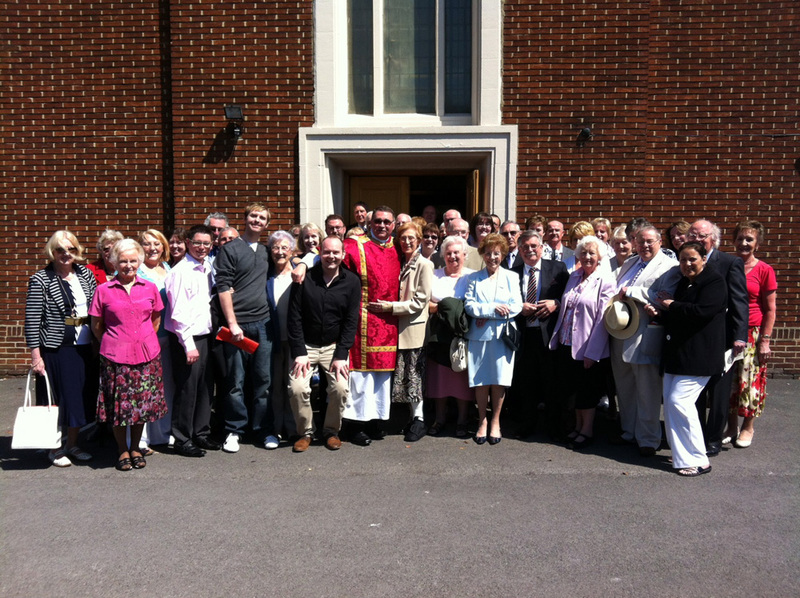 As well as attending mass, there will be a reception in the parish house followed by lunch. Mgr Newton will also preside at benediction. Fr Grieves said he hoped Mgr Newton's visit would also inspire others who were thinking about their faith and worship to find out more about the Ordinariate. For more information on this weekend's visit of Mgr Newton or the work of the Ordinariate, contact Fr Grieves on 01325-730191. A CHURCH choir is looking for accomplished singers to complete its line-up. 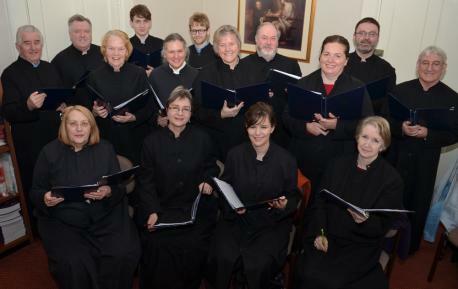 The group sings at St Osmund's Catholic Church, in Gainford, near Barnard Castle, which is the base for the Ordinariate of Our Lady of Walsingham's Darlington group. The Ordinariate is made up of former Anglicans who have converted to Catholicism. Priest in residence, Father Ian Grieves, said the aim was to bring the richness of the Anglican musical tradition to the Catholic church. “We seek to perform church music to a high standard in its proper liturgical setting,” he said. 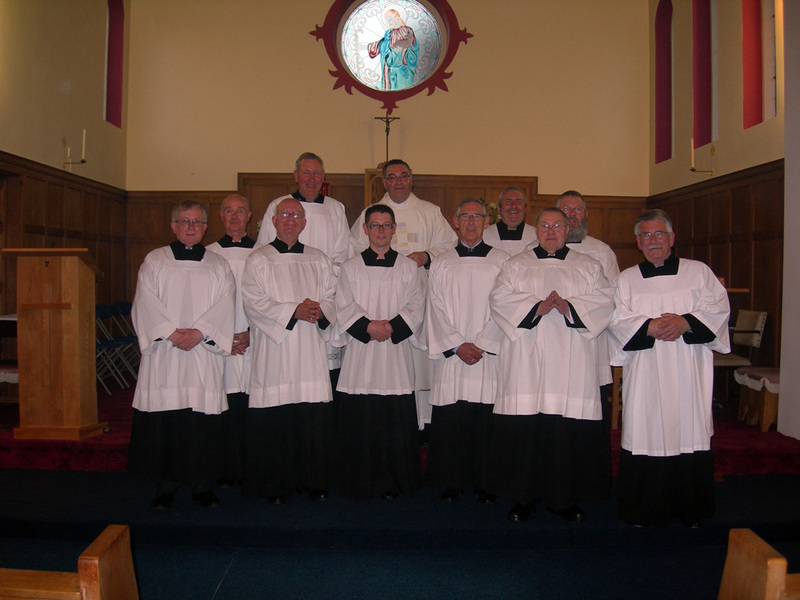 Fr Grieves said the choir was particularly keen to recruit tenors and male altos. He said anyone interested must be able to sight read music and be prepared to make a regular weekly commitment. Rehearsals are held every Sunday at 10am in the song room of St Osmund's Parish House prior to mass at 11.15am. For more information, contact Fr Grieves on 01325-730191. 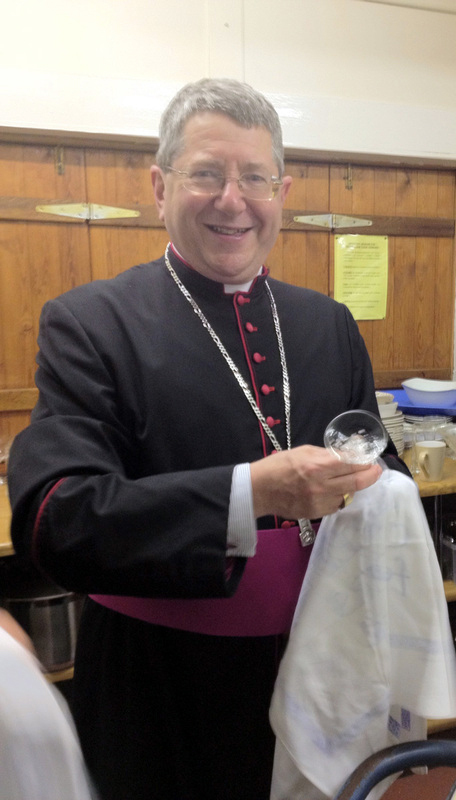 Monsignor Newton helps with the washing up.